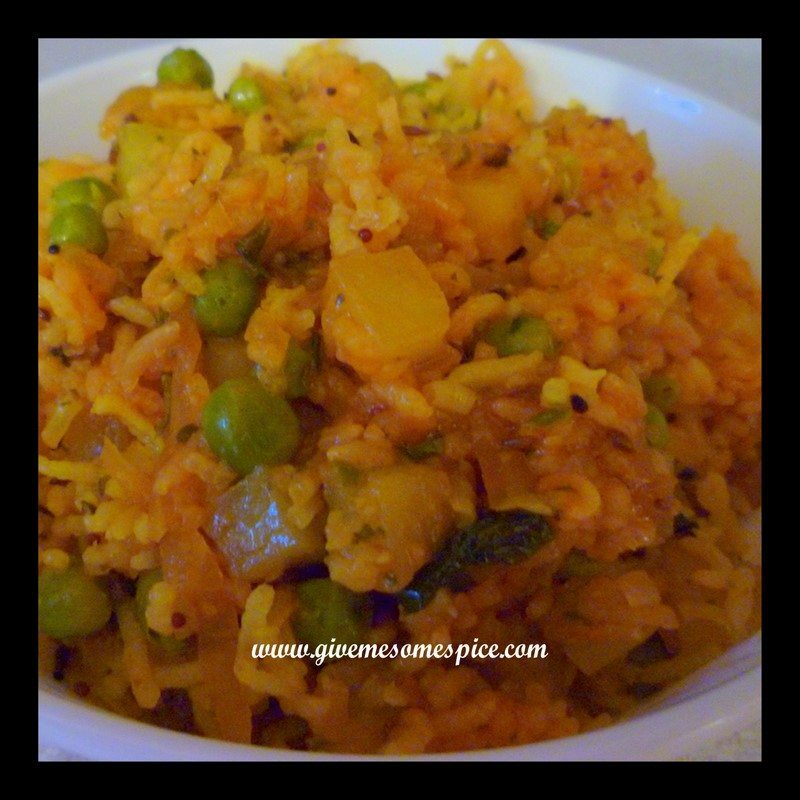 Hot and Spicy Rice | Authentic Vegetarian Recipes | Traditional Indian Food | Step-by-Step Recipes | Give Me Some Spice! Ever wondered why your Hot and Spicy Rice doesn’t turn out nice and fluffy? 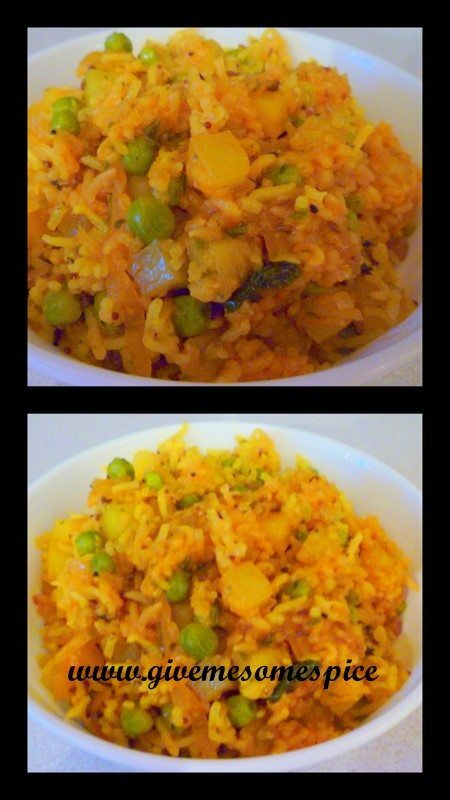 Well here’s my recipe which will show you how to make nice Hot and Spicy Rice which doesn’t look like khichedi. 1. You need to make sure you have cooked the rice. This recipe would also work with left over rice. 2. Grate or chop your onions finely. 4. Heat the oil and add the cumin seeds to the oil. 5. Once the cumin seeds get brown, add the onions and allow them to soften. 6. 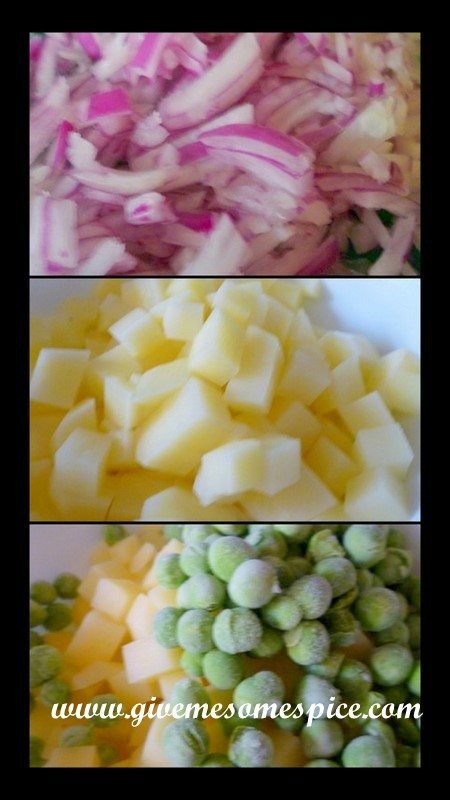 Add the potatoes and peas. 7. Add the salt and turmeric powder to the vegetables. Stir well and allow the vegetables to cook for 5-7 minutes or until the potatoes soften. When using frozen peas, you do not need to add any water to the vegetables. Fresh peas may need some water. 8. Add the cashews, peanuts and green chillies to the mixture. 9. Now add the cooked rice to the vegetables . 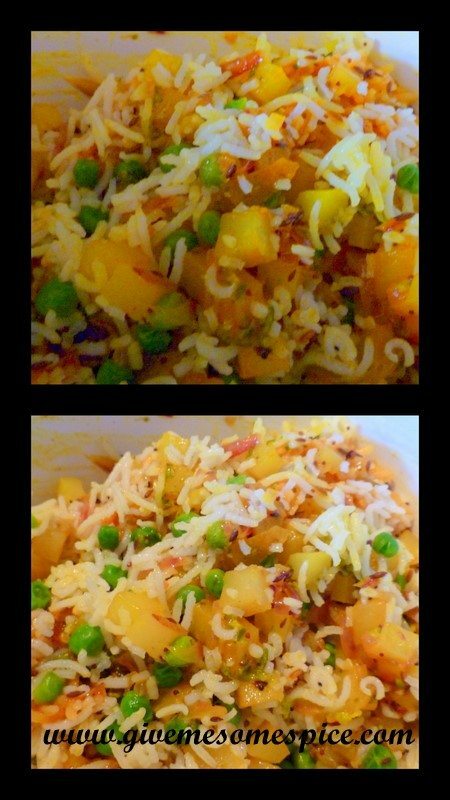 The plain rice needs to be stirred into the vegetables. 10. Cover the mixture and cook for 2-3 minutes. 11. The Hot and Spicy Rice is ready to serve. For special occasions, you can garnish Hot and Spicy Rice with cashews and peanuts.